When I found out that our gemstones would be going on sale, I was really excited. 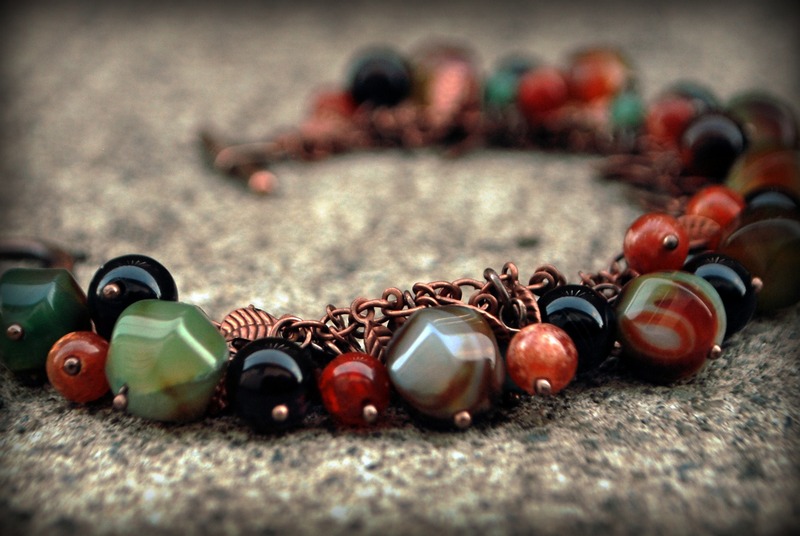 I have been eyeing the green/red agate for a while and knew they would be lovely for fall. 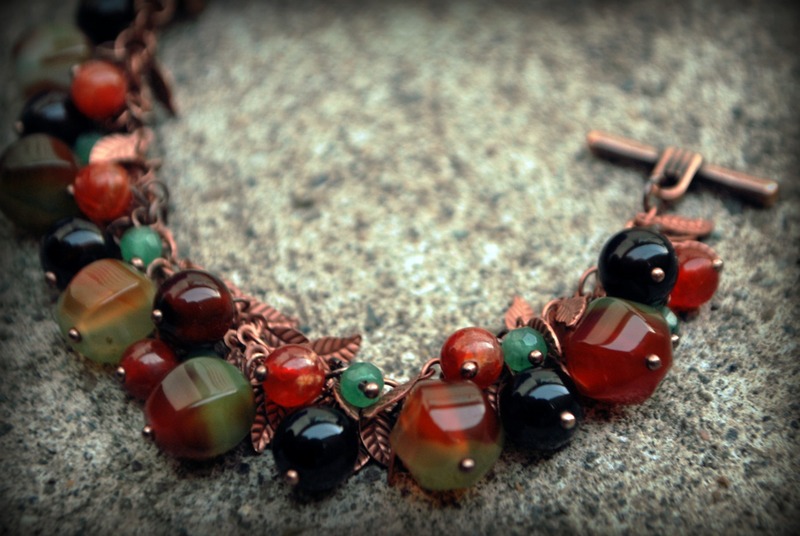 The mix of green and red and brown tones remind me of caramel apples. 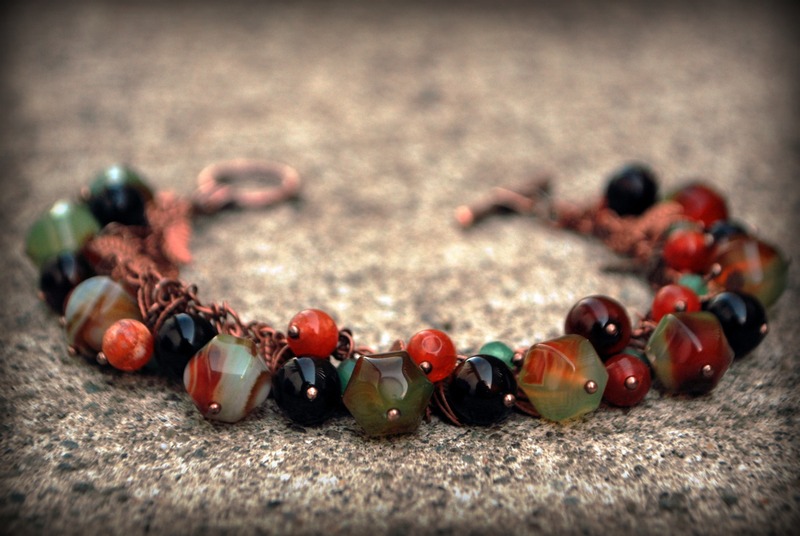 I thought copper complimented the color of the stones really well and added to the crisp fall feeling I was going for. The leaf chain is another item I have been dying to play with for a long time. Its delicate but it adds movement and interest to any piece. I’m looking forward to making a pair of earrings to match the bracelet. I went with a simple toggle clasp for this bracelet. 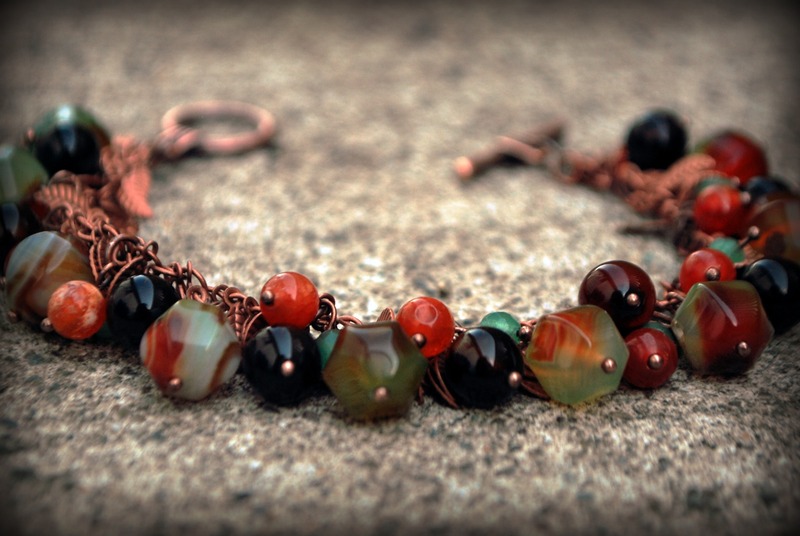 Toggle clasps are good for bracelets since they are easy to use. Toggles work particularly well for pieces with a little bit of weight to them. I used 9 of each type of stone. I attached the larger ones directly to the chain with head pins. The smaller two were gathered onto a jump ring and then attached to the chain. It took me about an hour while watching TV to complete the bracelet. Here is a copy of my shopping list if you are interested in purchasing these items to make a bracelet of your own. 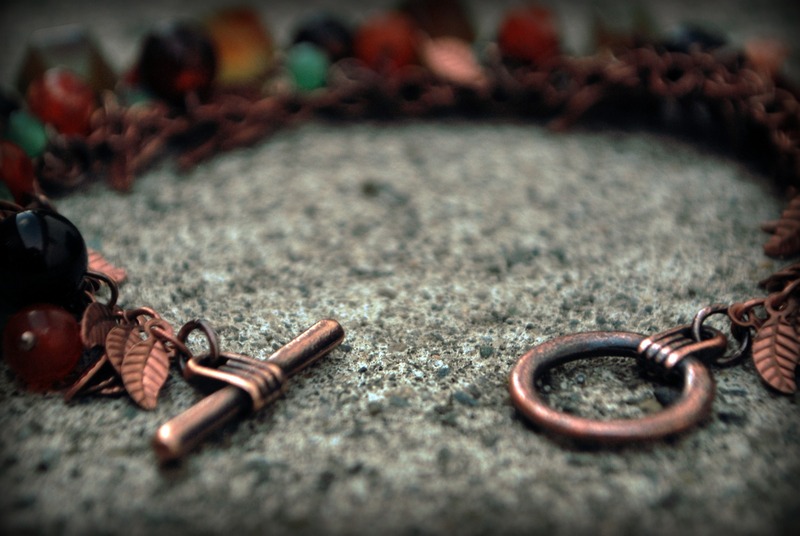 If you don’t like copper, the chain comes in silver and gold as well. All of our gemstones are on sale for 30% off so if you don’t like the colors I’ve picked out, pick out some that are better suited to your tastes. Also, please note that ST350-F is an assortment and while you can request a specific size and/color they are not guaranteed. 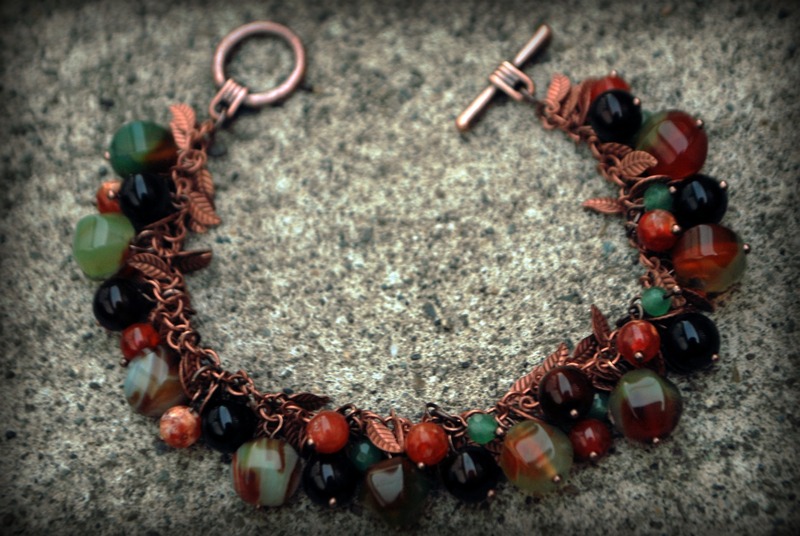 Feel free to substitute 4ST406 or 4ST449 for the 4mm green beads on the bracelet. Thanks for stopping by and don’t forget to check out our AWESOME Gem of a Sale!